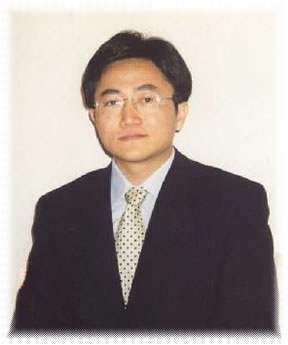 U.S. citizen and Falun Gong practitioner Dr. Charles Li is being tortured in a prison in Nanjing. A 96 page letter of appeal that Dr. Li wrote while handcuffed in a Chinese jail was finally released by the U.S. Consulate in Shanghai last week. The letter discloses the show trial Dr. Li was put through, as well as how he has been suffering both physical and mental torture. It is believed that Dr. Li is being targeted for his human rights work in exposing Jiang Zemin’s 4-year persecution of Falun Gong practitioners in China. Falun Gong (also known as Falun Dafa) is a peaceful mind/body meditation practice that some have described as Chinese yoga. Falun Gong is not a religion, martial art, or political organization. Rather, it is a self-improvement practice, which teaches five sets of soft exercises and is guided by the principle of: “Truthfulness-Compassion-Tolerance”. After being taught in private for thousands of years, Falun Gong was introduced to the public in northeastern China in 1992. By the late 1990s, the Chinese government estimated that as many as 100 million people practiced Falun Gong. Shortly after this discovery, in 1999, former Party and military head Jiang Zemin banned Falun Gong and began a campaign to eradicate it. Over the past four years, human rights organizations such as Amnesty International have documented an intense persecution in China. According to multiple sources, hundreds of thousands of Falun Gong practitioners have been illegally jailed, tens of thousands tortured in labor camps, and thousands of men, women, and children tortured to death. With the regime’s tight control of Chinese media, and with its partnership with major companies in the international corporate media, getting accurate information on Falun Gong has been difficult for many. It has been particularly so for the people of China, who have been bombarded with hate propaganda from China’s state-run media. Last year, Dr. Li, who was born in China, left his comfortable California home and risked his life to travel back to China in order to expose the persecution of Falun Gong on cable TV. Ironically, Dr. Li is now subject to the same persecution he wished to expose. After being beaten upon arrest and ushered through a show trial, Dr. Li has been interrogated for days, deprived of sleep, handcuffed in awkward positions for as long as 130 hours, and forced to undergo brainwashing programs. In order to protest his illegal detention and mistreatment, Dr. Li wrote a letter of appeal to the U.S. Consulate. The prison authorities, however, withheld critical pages of it. Dr. Li then embarked on a hunger strike in order to demand that his letters reach their destination, including his fiancée in California. After eight days of hunger strike and after Dr. Li endured multiple force-feedings, the prison authorities apparently gave in and released the remainder of the document. "They dragged me by my hair and slammed my head against the ground. Then they violently kicked my head and chest. I lost consciousness. When I came to, I had a headache and realized my clothing had been stripped from my body. To protest this treatment, I began a hunger strike. Five days later, I was force fed. They forced a thick and hard plastic tube into my stomach through my nose. It was excruciatingly painful, especially to my nose and throat. Force-feeding by violently stuffing tubes through the nose and down the throat is a common practice in Chinese detention centers. Very often, it's not food that's forced through the tube, but a highly concentrated salt-water solution that is extremely painful when ingested. Even more appalling is that human feces and urine are sometimes 'fed' to the hunger-striking practitioners. The procedure is usually carried out by untrained guards or sometimes even criminal inmates."